Tarina Tarantino is back again today on Hautelook (clicking through this link will give me $20 credit on HL if you decide to purchase). I was never really able to purchase anything from the brand while they were in Sephora. So when they were featured on Hautelook* some time ago, I did not hesitate to purchase some items. Overall, this palette is pretty well-rounded. 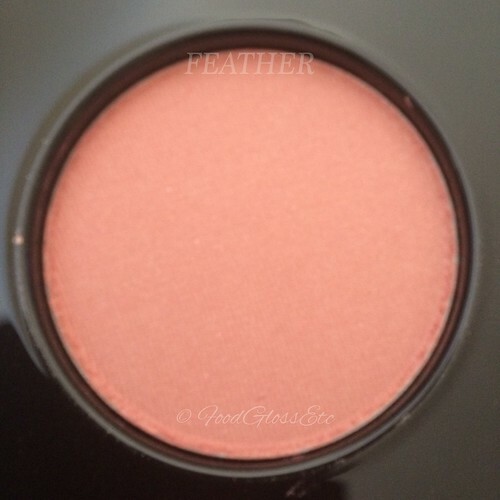 It has a peachy shade, warmish pink, cool pink and pink with sparkles. Definitely perfect for traveling. 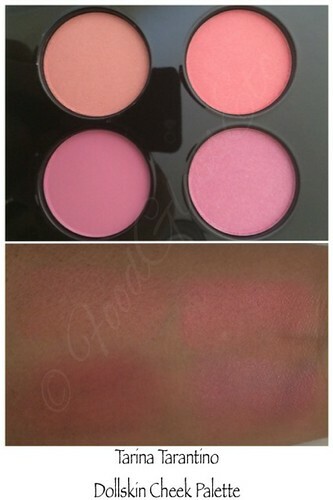 The blushes in my experience is not super-pigmented but can be built up. So if you are heavy handed, these are perfect for you. All four shades have soft silky finish. Not dry or powdery nor are they of the finely milled, buttery kind. They are sort of in-between. All four are easy to apply and blend as well. I tested them out in the middle of a humid, heatwave in Southern California and they lasted on my cheeks about 4-6 hours. 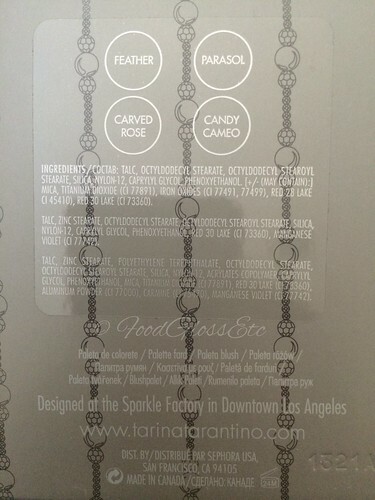 The blushes are housed in a plastic gunmetal mirrored compact roughly the size of a CD case. They are sturdy and houses a huge mirror inside which is a plus when traveling. The only thing missing is a good size brush and you can eliminate a brush from your already heavy cosmetic case, right? 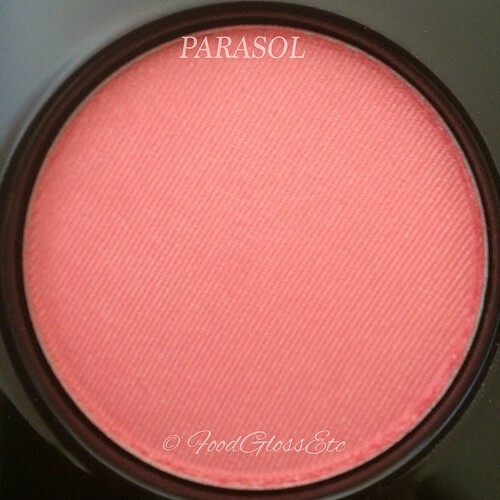 So, let’s check out the blushes in close up plus their swatches. 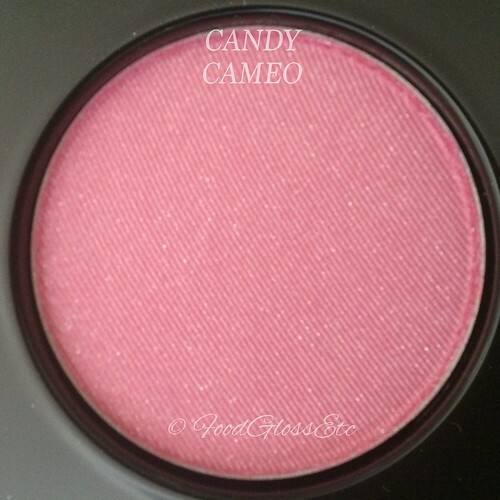 Candy Cameo happens to be my least favorite because of the sparkles that are visible in this shot. As well as in this swatch picture. But I think this would be perfect for that night out in the town. 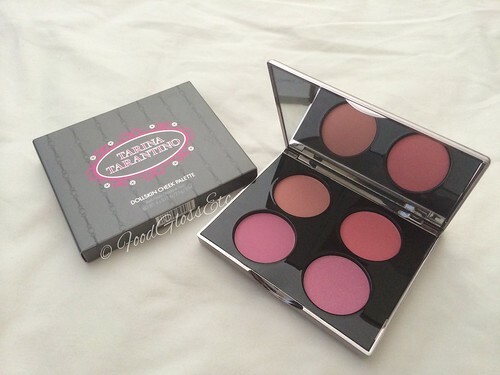 I recommend this palette if you are looking into Tarina Tarantino blushes or blushes in general. Normally $45, it is now $25 on Hautelook *. 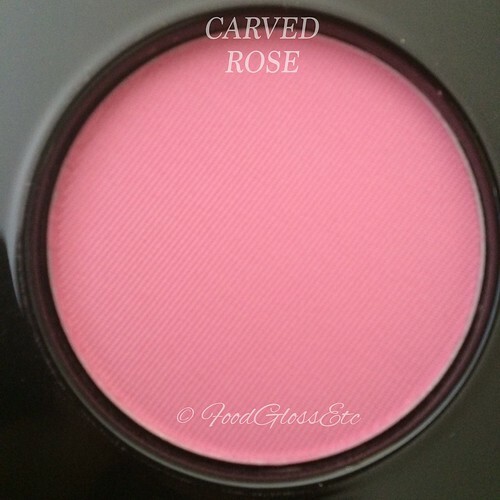 Individual blushes are normally $27, now $12 on Hautelook*. It is still a steal either way, but I recommend snatching it now while it’s hot on Hautelook*. Let me know what you think of this product or the brand in general. Have a good one, beauties! (*) linked with my personal referral link which gets me $20 for every client that signs up and purchases through this link.